Ever buy a bag of muesli and like it all except for one bit?!? Perhaps its one of the grains or the choice of fruit, or nuts that's in the mix. Problem solver: make your own! You can choose your own flavours! My daughter loves fruit muesli & asked if we could make our own. So here's our Summer Muesli that she absolutely LOVES. I would of added wheat flakes but when I went shopping for the ingredients I couldn't find any! If any of the dried fruit is in large pieces, cut it up into bite size pieces. Combine all the ingredients in a large bowl, or a cereal contain & mix well! DONE! Seriously could if be any easier! You could make your own dried fruit too if you want to, even if you don't own a dehydrator. Slice fruit & place on a lined oven tray. Put your oven on a very low temperature (this will vary between ovens as some ovens go lower than others) and leave to dry for 4-6 hours. When I stumbled across this Chocolate Orange cake recipe on the fatfreevegan blog the other day I knew I just HAD to try it! Especially after my daughters school holiday request was to bake a chocolate cake! I reduced the sugar by half and it was still quite tasty, and with the icing on top it was still sweet enough to be an enjoyable cake. I also substituted apple cider vinegar for the balsamic. It is more of a dense type cake and not so light and fluffy, but it really suited the flavour of the cake - it was between a regular cake and a mud cake. The 2 flavours of icing was AMAZING! It worked so well & just gave the cake a fantastic look! I don't have a proper Bundt cake tin so I did the best with what I had! When I had cut the cake I used the orange slices to cover the cut parts to keep it moist. It worked really well as it added extra flavour to the next slice and kept the cake moist. My recommendation: TRY IT! You won't be disappointed. Do you ever have those days where you just want to nibble all day?!? I started my day by making my salad for lunch. I topped it with some leftover ratatouille from last night. Also with a little bowl of fruit salad. These are new at Coles for the great price of just $1.19. They have a few different flavours. This date one was quite tasty! I would definitely buy it again. After I had packed my bag for work, I finally got to breakfast! Oats with blueberry sauce made by whizzing dates, blueberries, flax seeds and a spoonful of inner-health plus in the blender. So tasty! Mid afternoon I felt the munchies come on..... Which left me wishing that I had of wrapped up the last slice of the apple cake I had made on Monday :-( But since I hadn't I ventured down to our mini grocery store (very limited options at our little suburb random shop!). Although the oreo's looked tempting, I didn't feel like anything sweet. That said, I would of bought a packet of dates if I had 20 cents more! Guess that isn't really falling into good habits is it now?!?!? Dinner was a bowl full of rice noodles with veggies, peanut sauce & tofu! And thankfully that filled me up enough that ~FINALLY~ my munchies went away and I didn't spend the entire night nibbling & we all lived happily Wednesday after (since mum wasn't a bear with a sore head!). Have you joined in the WIAW fun yet? You can add your link at the peasandcrayons blog. How are you going with the organised housewife 20 day challenge??? Just one more week left. But I am still doing odds and ends around the home to help it get more organised. I'm just not following the daily tasks quite as closely as when we started. I decided that my own problems areas were more important to tackle. Cleaning and organising the office area was the daily task for day 14. So I used that for motivation to get it done..... well partly done! I managed to clear my desk space so that I can have the space I need and sorted through huge piles of random scraps of paper. I'm yet to tackle the storage area above my actual desk.... That's up next! After - much better, but still a bit to go! Let's face it - some organisation is better than none! Right?!?!?!? I guess at least they are lined up neatly!!!!! I continued with the problem spots in the bedroom. Remember my pile of boxes that I posted in my previous post - I finally tackled them - COMPLETELY! Not only did I sort and remove the pile I re-arranged our bedroom so that we have a lovely sitting area. And now comes the 'reward' of being able to select a lovely piece for the table! I CAN'T WAIT! How awesome does it feel to buy a new decoration item for the home? I must admit that I was way toooo embarrassed to post my other problem area in the bedroom..... I had a table next to my bedside table that was FULL of enviro-bags that had so many odds and ends that I hadn't sorted since we moved. Now that I have tackled it I really wish I had of taken a picture to show how awful it was! I replaced the coffee table with a little bookshelf where I can neatly keep the few magazines that I want to hold onto in an orderly way. Not embarrassed to take a picture of that! 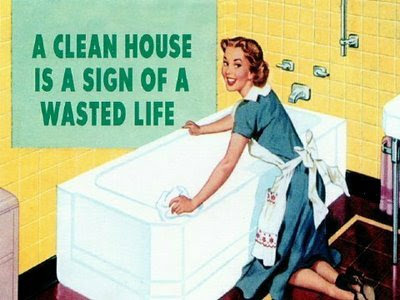 Ok enough of all this cleaning and tidying stuff - this is my weekend we're talking about! Well I don't totally agree with this - but it does give me a little chuckle! Isn't that what weekends are really for?!?!? I can't promise you that my Wednesday posts will always be that interesting.... Wednesday is always my most rushed day. Get up and eat breakfast in a hurry and pack lunch for work... Meaning lunch always has to be something that is portable. Then dinner is whatever I can whizz up in a hurry after my hour and a half drive home - or sometimes ~like today~ I get the priviledge of going out for dinner! YAY! This evening I took my dad out for a belated father's day dinner together. The meal was so lovely & I can honestly say I really enjoyed my dad's company. I have never gone out to dinner with just my dad before so I wondered what on earth we would talk about - but its amazing, we really did have lots to say! And breakfast was cornmeal porridge with craisins and a sliced peach. So I guess that means I didn't really follow the kickstart plan but that's ok! Breakfast was delicious & lunch is always a handy way of using up leftovers. I could of had a Chinese meal for dinner but Dad's not so keen on it! Anyway, I'll just swap for Friday's eating out meal ;-) I am super keen to try the steamed eggplant. 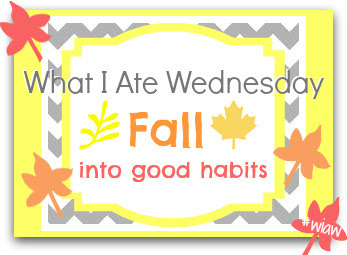 You can find other WIAW post on the peasandcrayons blog! This evening's dinner on the 21 day kickstart meal plan was DIY Beans, Greens, Grain. I love experimenting on the DIY days. I have never cooked millet before so decided that would be my experiment. Place 1 cup millet in a pot & pour over 3 cups vegetables stock. Bring to the boil & simmer for 20-25 minutes until all moisture is absorbed and millet has 'puffed up'. It will look similar to couscous in texture. For the zucchini bean mixture I sliced the zucchini & sauteed in a frying pan with a teaspoon of cumin and a crack of black pepper. Add beans & saute until zucchini is soft & beans are warmed through. If the mixture begins to stick you can add a little water. Chop 10 button mushrooms and one small onion very finely. Saute until the mushrooms and onion are cooked through. Transfer to a pot (you can saute them in the pot if you want to) and add a Tablespoon of soy sauce and some cracked black pepper. In a mixing bowl combine 1 Tablespoon cornflour & 1 cup cold water. Stir until cornflour is completely dissolved. Pour the cornflour mixture into the pot with the mushrooms & simmer for approx 10 minutes until hot and the sauce thickens. Combine the millet and zucchini-bean mix on a plate or bowl & pour the mushroom sauce over the top. 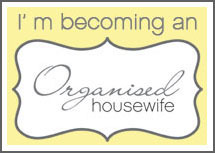 How are you going on the Organised Housewife Challenge? None the less I'm ploughing on & doing what I can. I LOVE the feeling of going through cupboards & sorting them out knowing that they are getting a proper clean & being sorted through so that excess is not being kept! Now I have to admit that I didn't really need to sort out this Tupperware cupboard as I'm quite particular about this one - but I did straighten out a few piles & wipe the shelves down. Can't hurt to keep on top of it! And here's our organised and cleaned fridge! I love the smell of vanilla spray! :D Always a pleasure to sort the fridge out!!! Do your children ever get tired of having a sandwich every-single-day? What about you??? Do you have to take lunch to work everyday but looking for some ideas that aren't just different sandwich fillings? I am SOOOOOO excited to share with you all that I recently WON A LUNCH PACK! YAYYYYYYY who doesn't love to win a prize?!?!? It was a competition for something healthy that your children enjoy to snack on. I shared my recipe for Soy-tella and the many ways that it can be used. 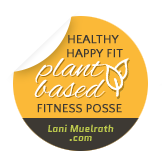 I LOVE turning treat-food into health-food! It was sooooooooo exciting to find out that I had won!!! Here's the AWESOME pack that I received - thanks to Smash Enterprises and the awesome website Weighitup. I have to say that these lunchboxes and snack containers are truly awesome! I definitely recommend getting some not only for the kids but for yourself too! 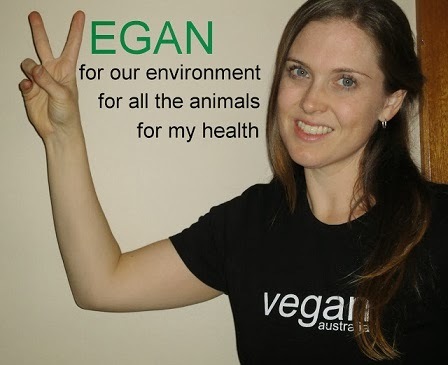 They are available at Big-W, Woolworths, Coles or you can just buy them online directly from their website. I think its always exciting to open a box up that's not just a piece of fruit & a sandwich. Slap 2 slices together for a pizza sandwich! The kids will LOVE this idea. If all else fails, everyone loves oreo sandwiches! This is the first time I've taken part in WIAW - What I Ate Wedensday. You can read about it here and also sign up if you want to be involved! As you may already know, I am currently following the 21 day kickstart. So what better way to start up WIAW with a kickstart day!!! and a piece of toast with fruit spread. Dinner was leftover Israeli Couscous with Carrots, Peas, and Red Wine Vinegar with steamed silverbeet and almonds. Dessert was "ice-cream". Made by blending a frozen banana, blueberries, spinach & milk. Here's something to remember about WIAW - directly from this link. You can join in the fun too! Just click here to follow the links!